It’s not often that my A-Z’s run parallel but, in trying to “patch the gaps” in the alphabet, I find that I’ve arrived at the letter J on both my Polish and my Portuguese challenges. Well, “J is for Jo”, so, let’s try not to disappoint. Javali means “wild boar” in English. 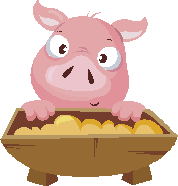 Not always the most adventurous of eaters, I’m happy to say that I can quite happily trough away at wild boar. It is delicious! I first experienced it at the end of a morning’s walking with my group in the Algarve. The reward for our walks is usually a restaurant, known to one of the group as being very good value. (us Brits like a bargain!) The “wild boar” restaurant was the occasion of a 60th birthday so it was a bit special. The meat arrived in huge pans and had obviously been slow cooked for hours. The occasion ended in rather a traumatic fashion, as the partner of the lady who was 60 keeled over and an ambulance had to be summoned! He suffers from low blood pressure. The medics stepped in and would you believe it, another member of the party collapsed with heatstroke! Both were fixed up, and nobody blamed the wild boar. If by any chance you’re reading this, Jeff and Anne, very best wishes to you both. João is the Portuguese form of the name John. According to Wikipedia the diminutive is Joãozinho, but I’ve never heard it used. I understood diminutives to be short forms, but it doesn’t surprise me that in Portuguese, it’s longer. The feminine form, however, is Joana, and that’s me! And now for the history lesson. 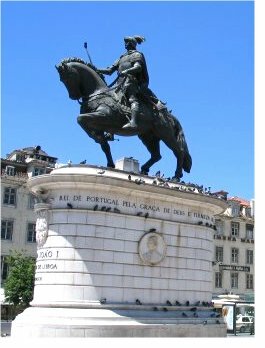 There have been six ruling King João’s in Portugal. To see them in context, click on the Wikipedia link. João 1 was King of Portugal and the Algarves from 1385 to 1433. He came to the throne after a 2 year period of political anarchy, when Castile was laying claim to much of Portugal. The overthrow of Castile and their French allies was accomplished with the aid of English troops. 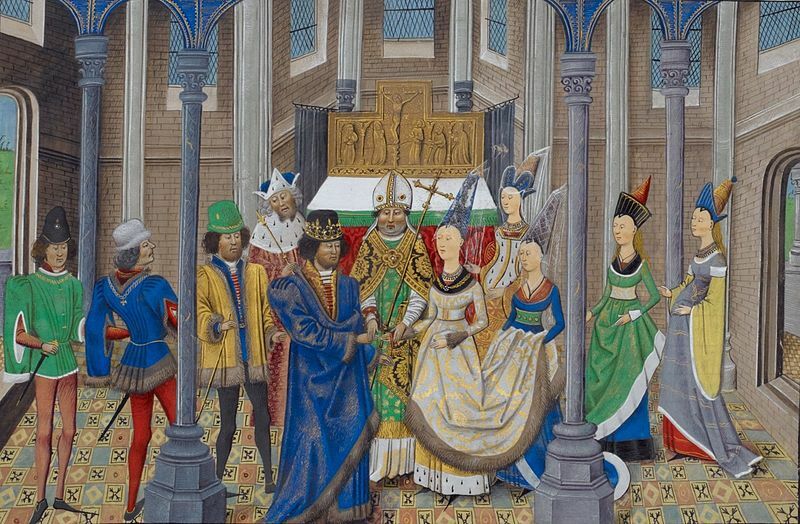 When João married Philippa of Lancaster, daughter of John of Gaunt, in 1387, an Anglo-Portuguese alliance was secured which exists to this day. João II (reigned 1481-1495) was known as the Perfect Prince. His chief priority was continuing the exploration of the African coast, hoping to discover a maritime route to India and the spice trade. João III (reigned 1521-1557) has been referred to as the Grocer King. He extended Portuguese possessions in Asia and the New World, securing the spice trade in cloves and nutmeg. Brazil was colonised and the Portuguese became the first Europeans to establish contact with China (under the Ming dynasty) and Japan. João IV (reigned 1640-1656) The Portuguese Empire reached its zenith, totalling 12,000,000 km by his death. He was a patron of music and the arts, amassing one of the largest libraries in the world. Sadly it was destroyed in the Lisbon earthquake of 1755. João V (reigned 1707-1750) was nicknamed “The Magnanimous”. He ruled at a time of enormous wealth for Portugal, with gold and diamonds from Brazilian mines filling the coffers. Money was no object, and the Royal Palace at Mafra was built as a rival to Versailles. João VI (reigned 1816-1826) had something of a turbulent time. 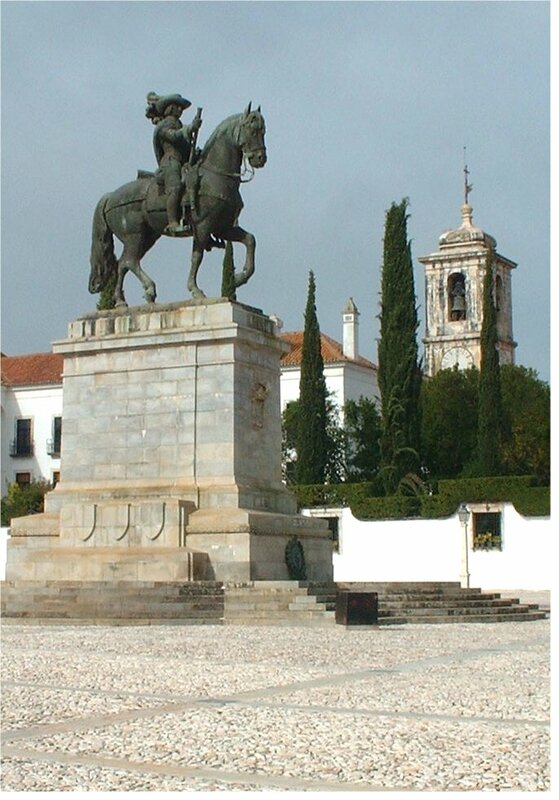 His kingdom included sovreignty of Brazil until independence was declared in 1825, and he had to flee there when Napoleon’s troops invaded Portugal. He stayed in Brazil for 13 years, establishing a court and growing to love the place. The loss of Brazil had an enormous effect on the Portuguese economy, and João was constantly embattled and plotted against on his return home. His eventual death was believed to be as a result of poisoning. Phew! I hope you are not too exhausted by my tale of six Johns. I’m linking this post to Julie Dawn Fox’s A-Z Personal Challenge and to Frizz’s A-Z. You can follow their challenges through the links. Many thanks for staying with me. Wow! That is amazing. J for joyful post!